Its time to be more efficient. Its time for data integrity. Its time for LabHQ LIMS. LabHQ LIMS is a Laboratory Information Management System (LIMS) that helps you manage your Quality Control data easily and efficiently. Store, process, report and analyse your QC data in a secure electronic environment. Our LIMS software deploys with a quick-install application and also offers web-browser access, providing users with secure and flexible access to their laboratory test data. LabHQ’s configurable and intuitive interface guides you through the workflow steps with minimal clicks, ensuring an easy to use system that will streamline your laboratory processes. Data administration is simple. Products, specifications, test methods and user accounts are all easily set-up and managed. You can even generate your own reports via our Custom reporting function. Automate and optimise sample processing activities. Reduce time consuming, mundane activities and reallocate your team to high value generating activities. Generate data trending reports at the click of a button – monitor and identify out-of-trend test results and act before they turn into costly production corrections. Why Broughton Software? Put simply, we understand Quality Control. 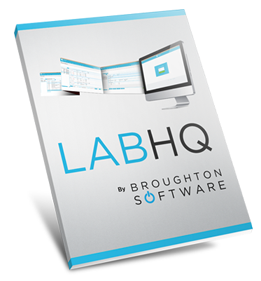 LabHQ is a robust LIMS featuring import/export options, audit trails, and secure cloud access. Say good-bye to time and space consuming paperwork, and say hello to your electronic data storage with LabHQ LIMS. Through easy data trending and our clients are enjoying time and cost savings of up to 75% in sample processing tasks. The intuitive icon based user interface is designed for simplicy of use for all user types. Reduce the risk of transcription errors and highlight out of specification results so you can easily investigate and maintain control over your data. Lock down your data with our secure hosting. Our experts manage your data security so you can concentrate on serving your clients. Don't be stuck at your desk. Access your data securely wherever you have an internet connection. and is the perfect solution for GMP regulated industries. LabHQ LIMS facilitates compliance with worldwide computer system validation regulations. LabHQ LIMS is suited to both regulated and non-regulated industries and is the perfect solution for GMP regulated industries. LabHQ is a software system used to store, process, report and analyse QC test data. Learn about how our laboratory information management system can help your lab today. Fill out the form below to download your complimentary leaflet.